Like our post from last year, Top 5 Engagement Ring Styles of 2014, we will be highlighting some of the trends in the engagement and wedding ring market. This style does not come as a big surprise, as it is forever a classic look. 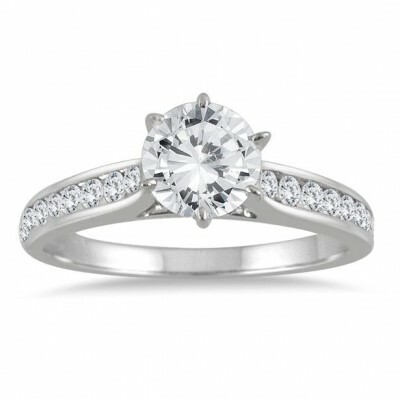 However, lately, big center-set diamonds have been a huge trend. 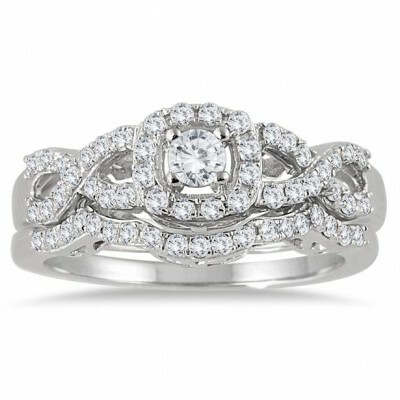 Amanda Heard’s engagement ring from Johnny Depp is similar to this particular style. Her antique-style ring is flanked by smaller side stones too. 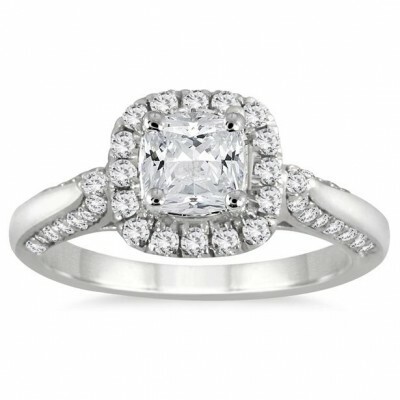 Our 1 Carat Diamond Engagement Ring in 14K White Gold fits the bill exactly! The beautiful diamond engagement ring, crafted in solid 14K white gold, has a stunning 0.75 carat center stone that is prong set on a band featuring 16 sparkling white channel side stones. Nikki Reed was sporting a simple, yet unique, engagement ring from Ian Somerhalder. Her ring is double-banded, but with multiple stones along the bands. It is a bit unconventional for the usual wedding band to be an engagement ring, but it certainly has its charms. It has an understated beauty about it. 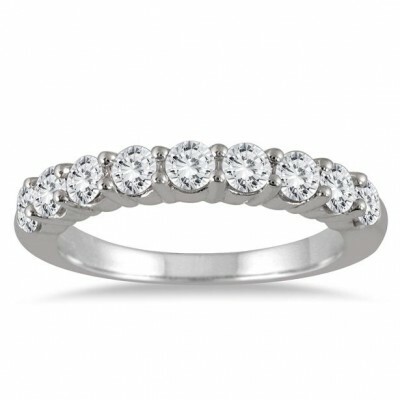 Like Nikki’s ring, our 1 1/3 Carat 9 Stone Diamond Wedding Band in 14K White Gold, features lots of stones. This dazzling ring in 14K gold has 9 sparkling white diamonds, weighing a total of 1.35 carats. It is currently selling at an exceptional price of $699. That’s a savings of 72%! 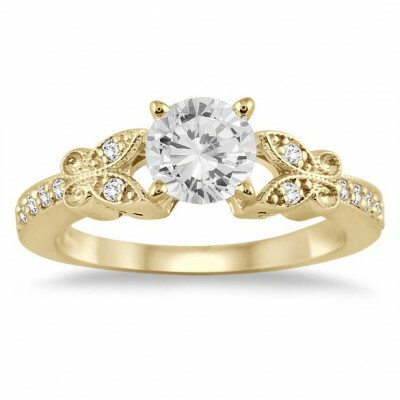 This 3/4 Carat Diamond Engagement Ring in 14K Yellow Gold designed with floral inspirations, features a sparkling white center stone and 14 white side stones. The yellow gold makes all diamonds just pop! The halo style was emerging as the most sought after style of 2014, and in 2015, it is still holding strong. Kim Sears recently showed off her engagement ring, consisting of a large 3 carat diamond, surrounded by several smaller ones. Our 1 1/4 Carat Cushion Cut Diamond Halo Engagement Ring in 14K White Gold is topped with a border of 48 diamonds. This brilliant engagement ring is at unbeatable price of $1689 right now. Unique, one-of-a-kind rings is trending as well. This 3/4 Carat Diamond Infinity Bridal Set in 10K White Gold is specially created with top of the line workmanship and tremendous attention to detail. The side of the ring and band feature detailed engraving work for an antique-styled design. Which one style/design is your favorite out of the five? Let us know in the comments down below. Also, do check out our entire Diamond Rings collection for more. Stay updated with us by following our social networks (Facebook, Twitter, Instagram and Pinterest). This entry was posted in Blog Posts and tagged Beautiful, Bridal, Diamond, Diamonds, Engagement ring, Fashion, Gemstone, Gemstones, Gorgeous, Jewelry, Love, Marriage, Pretty, Rings, Trends, Wedding, Wedding ring. Bookmark the permalink.